Article - Interview with Taylor Sharp and Watida Mukukula. Pod Cast - Sports has impacted both society and its development in Africa. Filmmaker, Taylor Sharp gave us an eye opening account of his experiences through his travels which have led him to fulfilling his passions. News - ‘Hoops Africa: Ubuntu Matters’ premiers at Varsity Theatre and released on iTunes, Amazon. 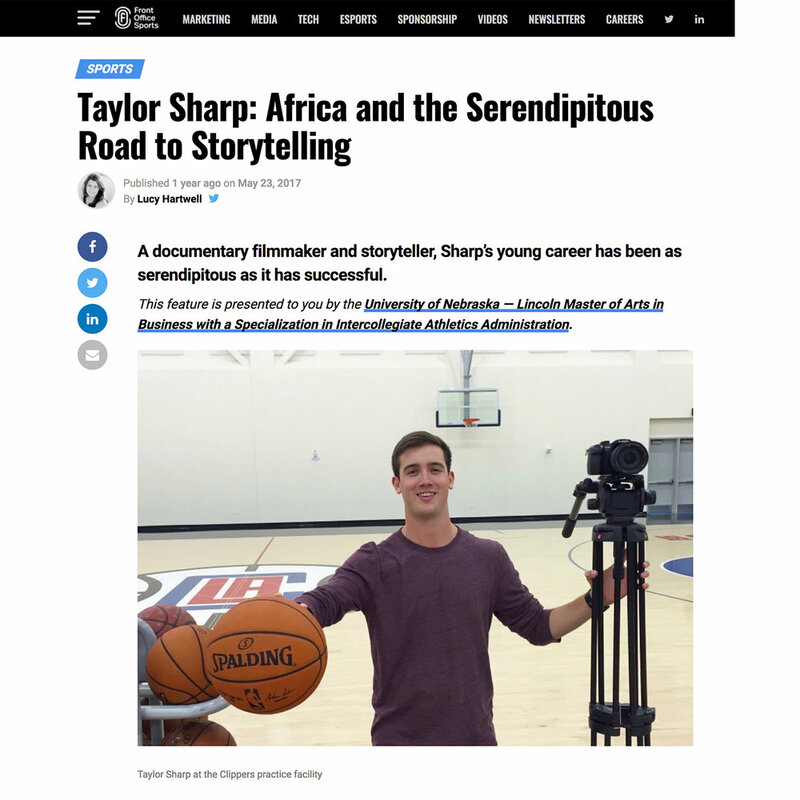 Article - Taylor Sharp: Africa and the Serendipitous Road to Storytelling. A documentary filmmaker and storyteller, Sharp’s young career has been as serendipitous as it has successful. 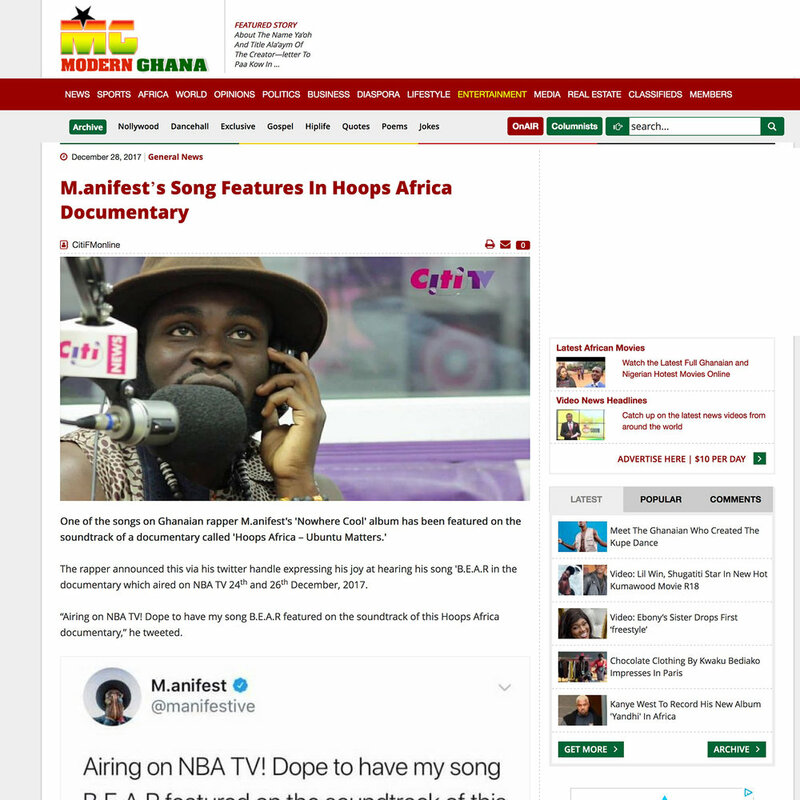 Article - M.anifest’s Song Features In Hoops Africa Documentary. Article - Director Dan Hedges talks to his former High School about his journey from student to filmmaker.